Holiday shopping officially kicks off this Friday. This is the first year in a long time that I’m on track for buying gifts. I started shopping in October and am about half way done. I plan to finish up hopefully this weekend! Gift guides like MattelHoliday.ca have made my job a lot easier giving me loads of ideas of toys to buy for my 10 year old daughter and six year old niece. This microsite features a hand-picked list of Mattel’s Top Holiday Toys of the season and has inspired me to pick up a few more toys I know they’ll love. Mattel also sent me a custom package of four Mattel Holiday Toys for my daughter, Bridget, to try out. I wish I had recorded the look on her face when she saw the toys waiting for after school. You would have thought it was Christmas morning the way she squealed in excitement. 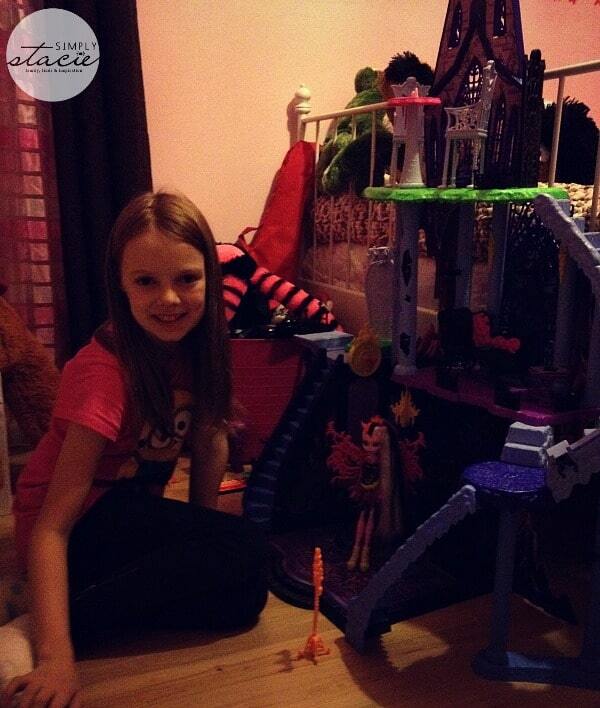 She immediately wanted to set up the Monster High® Freaky Fusion™ Catacombs. 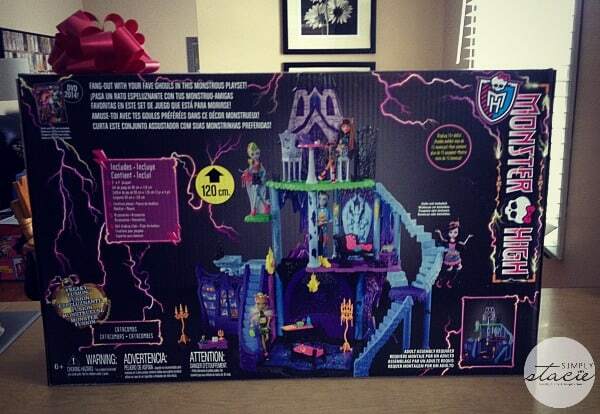 This creepy cool set is featured in the movie, Monster High Freaky Fusion and goes perfectly with the Monster High dolls. It requires an adult to set it up (thanks John!). I was impressed with the level of detail that went into this set. 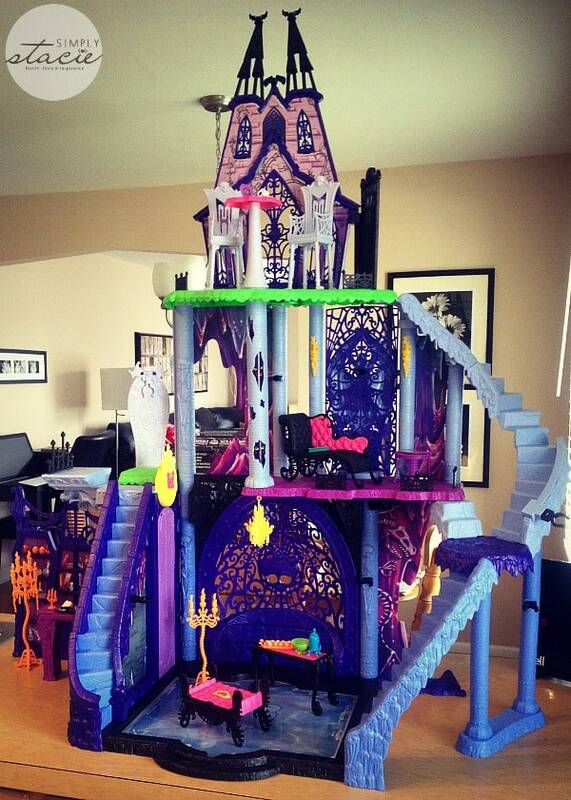 It features three levels, multiple play spaces and can display more than 15 dolls! It also has some “clawsome” transformative features and secret surprise. 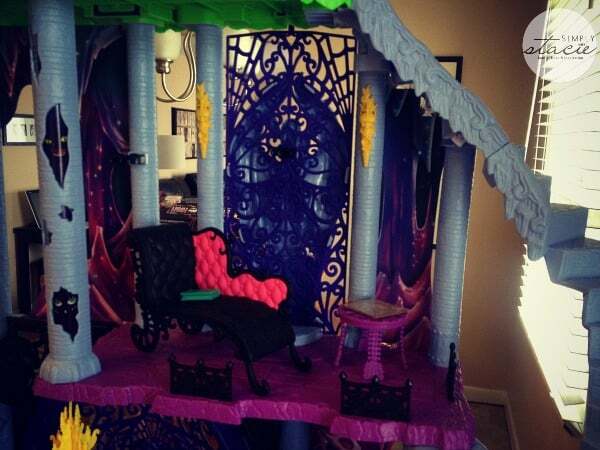 It’s the ultimate play set with a secret door, a pool that flips to a party scene and a spinning table with eerie eyes. No detail was spared! Bridget has a couple Monster High dolls already and has asked Santa to bring her a few more. This playset is huge at 120 cm high. I had it set on the counter and it was towering over me. On the floor in her room, it is higher than the foot board on her bed. It has an SRP of $139.99 and is recommended for kids age six and up. You can find them at Walmart, Toys “R” Us, Target, Sears and Amazon. The Catacombs needed some residents and the Monster High® Freaky Fusion™ Hybrid Dolls are just the right kind of inhabitants! The hybrids are a new class of monsters to the Monster High clan. These ghouls are the combination of two completely different creepy creatures. There is Sirena Von Boo, a ghost/mermaid, Avea Trotter, part harpy, part Centaur and Bonita Femur, a skeleton/moth. Bridget has been playing with Bonita Femur. 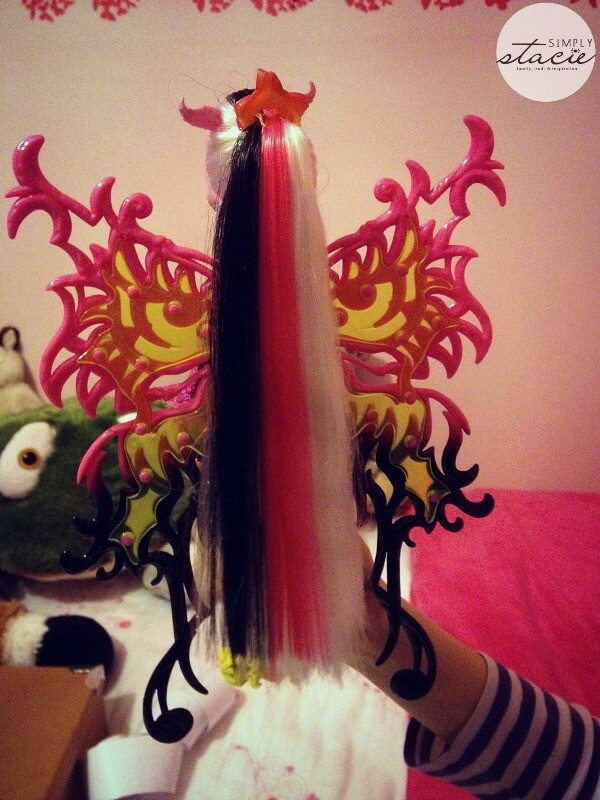 She’s a glamourous monster with long hair with funky pink and black streaks. Her hip outfit really sets off her wings. Bonita has been hanging out in the Catacombs and you can often see her lounging in her chair by the pool. 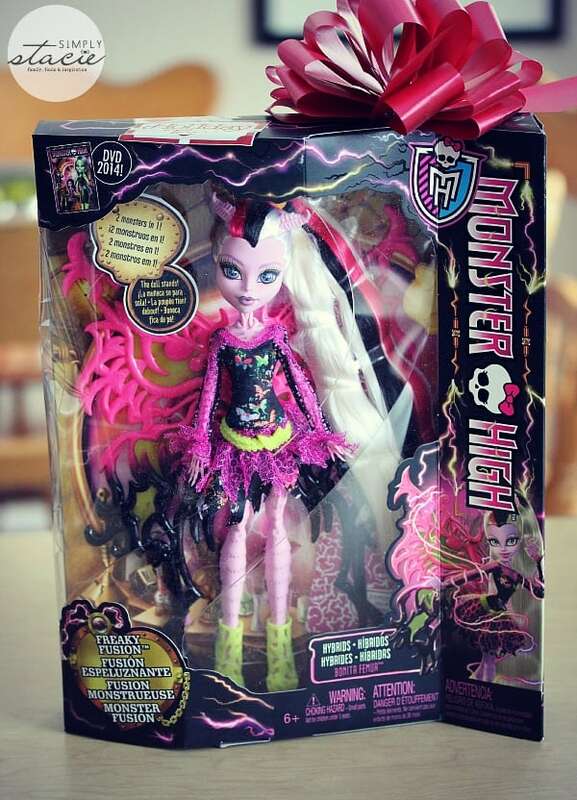 Monster High® Freaky Fusion™ Hybrid Dolls have an SRP of $34.99 and are recommended for ages 6 and up. Pick them up at Walmart, Toys “R” Us, Target, Loblaws, Sears and Amazon. 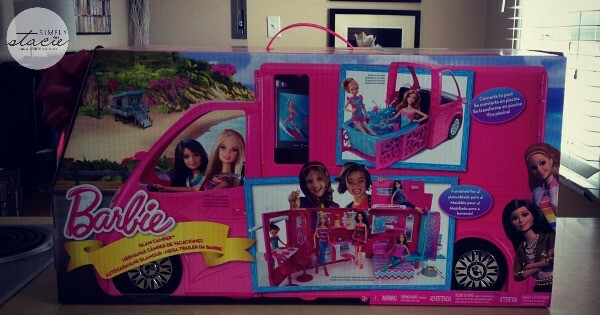 The little girl in me is freaking over the Barbie™ Life in the Dreamhouse – The Amaze Chase™ Glam Camper!™ I would have loved to open up this gift under the Christmas tree. It’s pretty darn awesome! 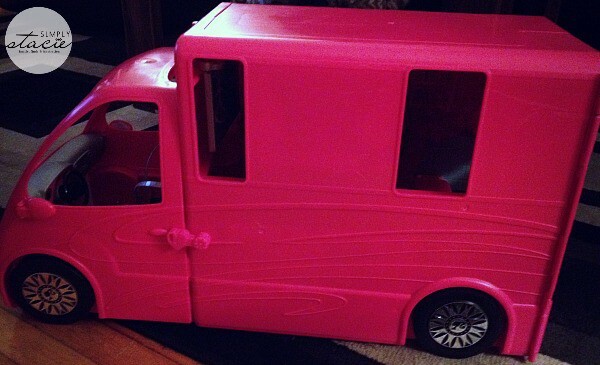 This is no ordinary camper – it transforms into a pool so Barbie and friends can have a pool party anytime, anywhere. 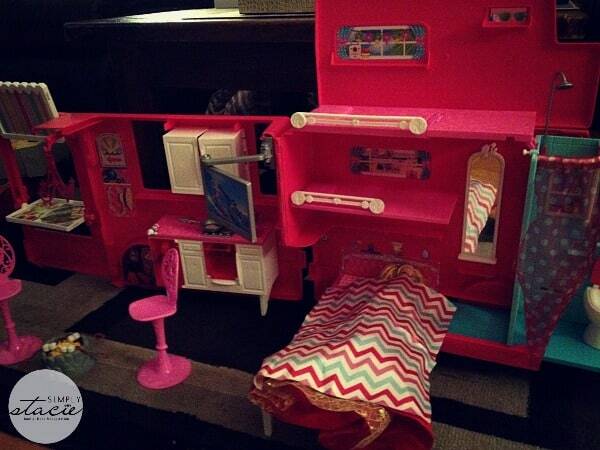 The kitchen has a lemonade dispenser, a grill that flips over to become a table and it has a full bathroom (a must for the glamour girls) and lots of sleeping space so Barbie can travel in comfort and style. It even has a chandelier. It’s glamping not camping! This was another toy for John to put together – don’t worry it comes with instructions! Bridget turned it into a summer camp site for Barbie and friends and had hours of fun playing. I miss those carefree days of childhood! The Barbie Life in the Dreamhouse has an SRP of $119.99 and is recommended for ages 3 and up. You can pick one up at Walmart, Toys “R” Us, Target, Loblaws, Sears and Amazon. 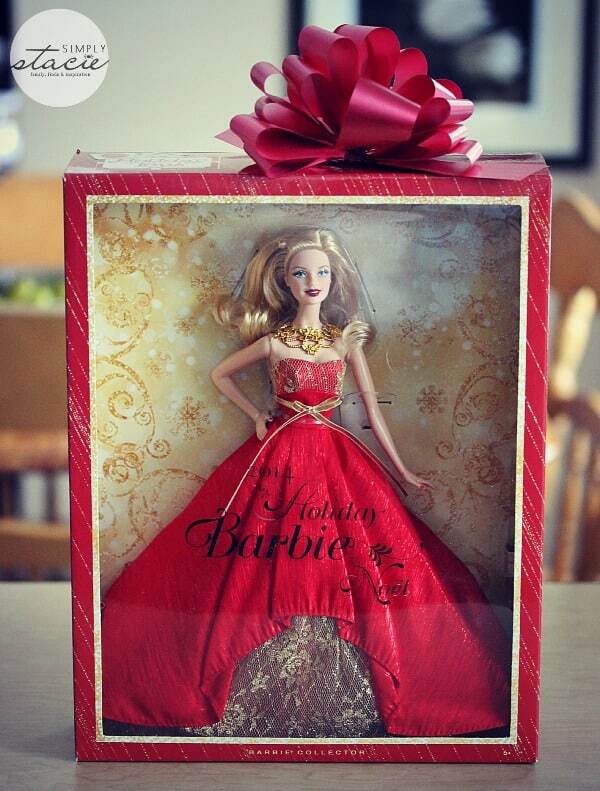 For the past 25 years, Barbie has come out with a Holiday Barbie Doll commemorating this festive season. I actually own a Holiday Barbie from the late 80s. It must have been one of the first one released! It’s still in its original box too. The 2014 Holiday Barbie Doll is stunning. She is wearing a rich red gown with gold accents and golden accessories. Buy one as a keepsake as it will only be available during the 2014 holiday season or for your little one to play with. I wanted to show what she looked like and Bridget really wanted to take her out of the box. I may pick up another one to hang onto as a keepsake and keep her in the original box. 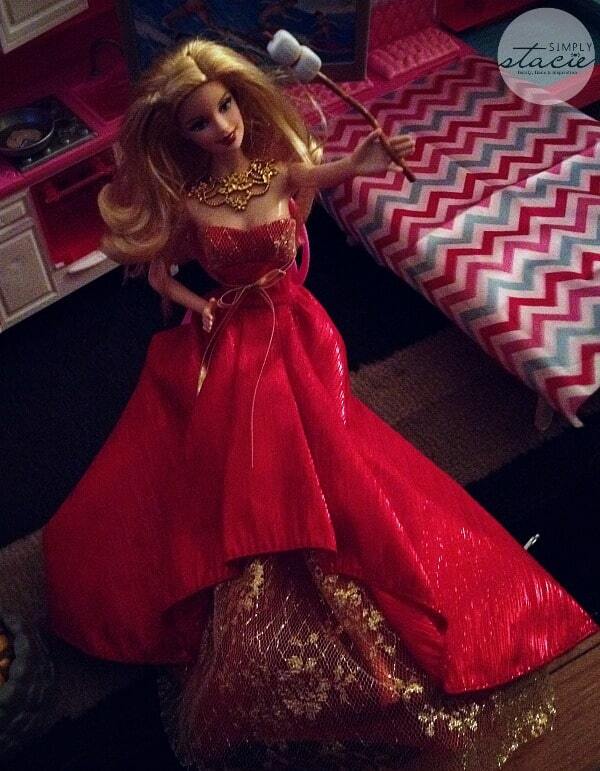 Holiday Barbie went glamping and roasted some marshmallows in her pretty red dress. Was she overdressed for the occasion? Maybe, but that is what Bridget wanted her to wear. 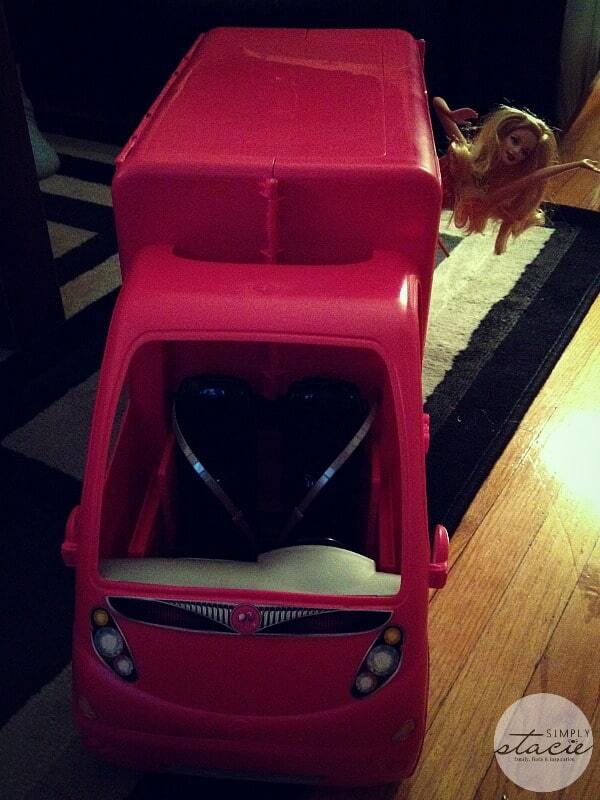 She also went for a joyride in the camper. She’s got an adventurous streak! The 2014 Holiday Barbie Doll has an SRP of $49.99 and is recommended for ages 6 and up. Pick her up at Walmart, Toys “R” Us, Target, Loblaws, Sears and Amazon. Check out the other 24 toys on Mattel’s Top Holiday Toys. They’ve got toys for boys and girls for a variety of age ranges. Happy shopping! 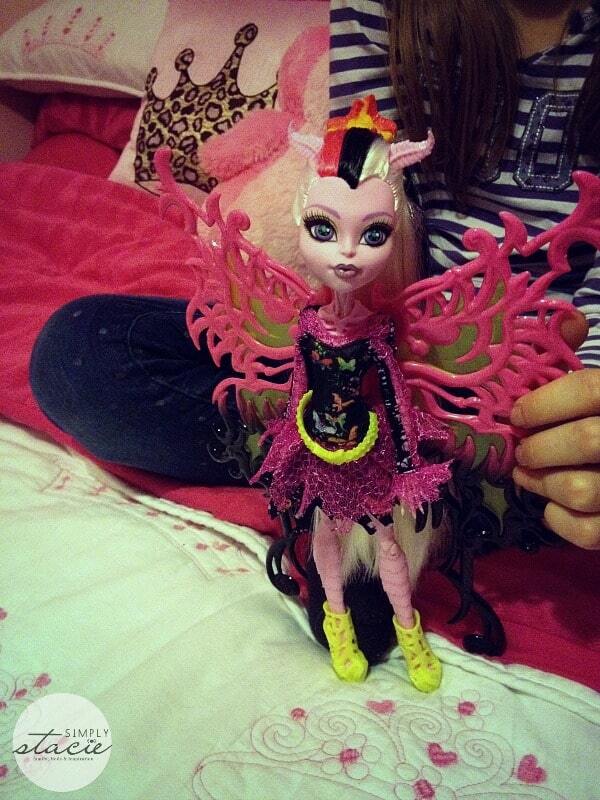 My daughters would love the Monster High or Ever After High dolls. 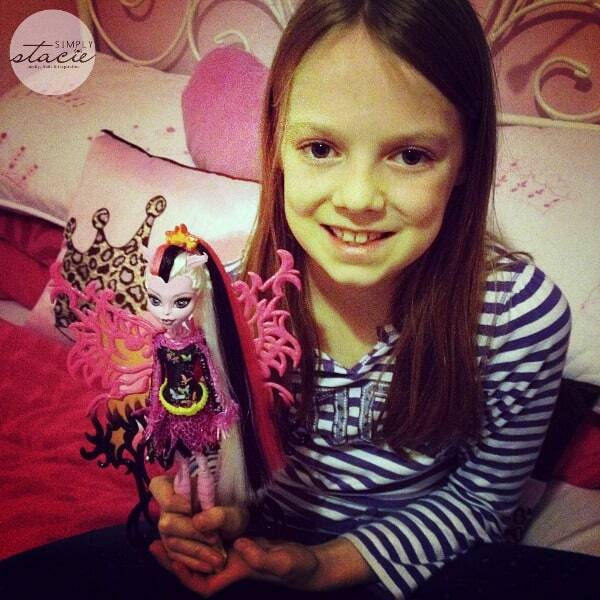 These Monster High® Inner Monster™ Dolls would be a hit! Fisher Price Little People City Skyway looks like something my son would love!